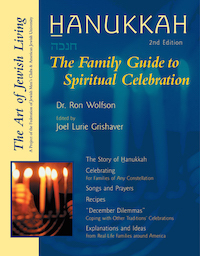 Dr. Ron Wolfson | Hanukkah, 2nd Ed. Create a meaningful and happy Hanukkah in your home—with story, celebration, food and song. This newly-designed, easy-to-use edition of a classic spiritual sourcebook offers updated information, more family ideas, and new resources for every aspect of your holiday celebration. 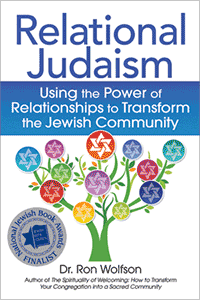 Hands-on advice and practical suggestions invite families into Hanukkah’s spirituality and joys, from the making of luscious latkes and Hanukkah crafts to the stories of the heroism and the miracle that are remembered every year with the lighting of the hanukkiyah.